An earthquake triggered by Italy's Mount Etna volcano jolted eastern Sicily, slightly injuring 10 people and prompting frightened Italian villagers to flee their homes. Italy's Civil Protection officials said the quake, at 3:19 a.m. (0219 GMT) on Wednesday, was part of a swarm of some 1,000 tremors, most of them barely perceptible, which are linked to Etna's ongoing eruption this week. 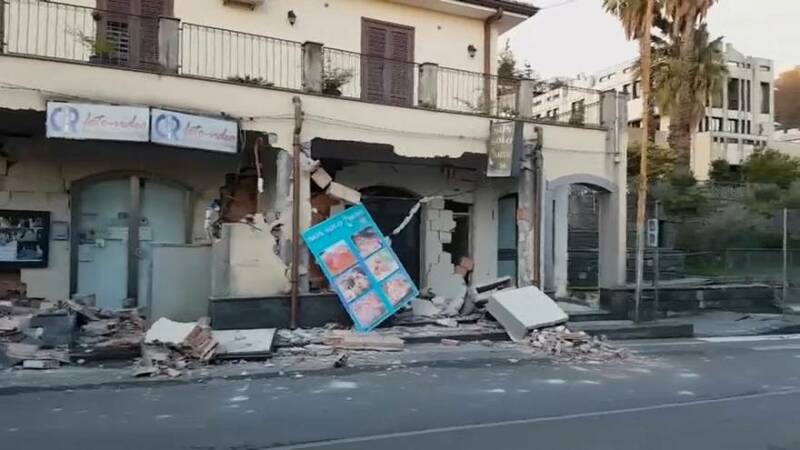 The 4.8 magnitude earthquake early on Wednesday damaged some rural homes, including structures which had been abandoned years ago, toppled a statue in a church in the town of Santa Venerina and opened up cracks on a highway, which was closed for inspection. The Italian news agency ANSA said an 80-year-old man was extracted from the rubble of a house. Government undersecretary Vito Crimi said there were no fatalities and 10 slight injuries.